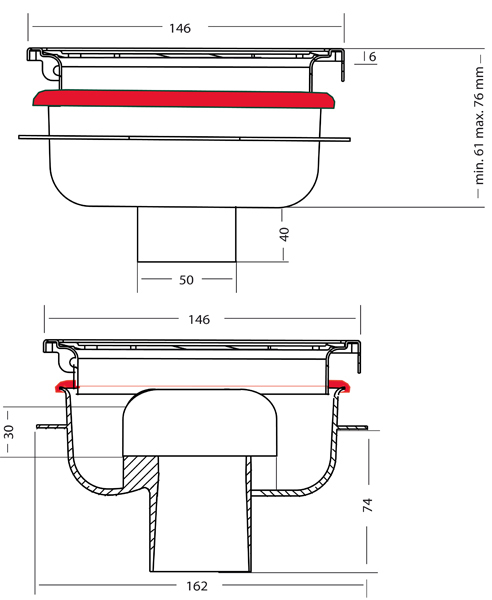 VDB Shower Drains > ABS Shower Drain 146x146mm. Van Den Berg ABS plastic shower drain. 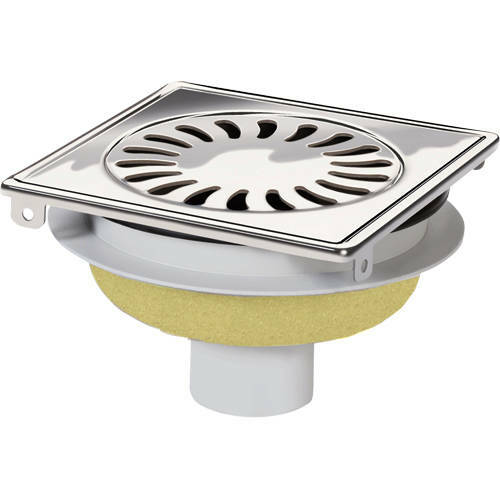 Suitable for shower rooms, bathrooms, swimming pools, schools, hospitals and public toilets.